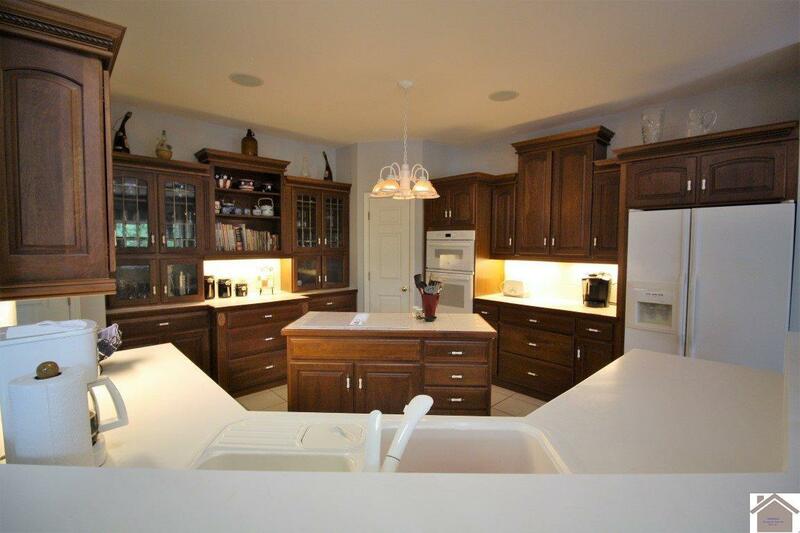 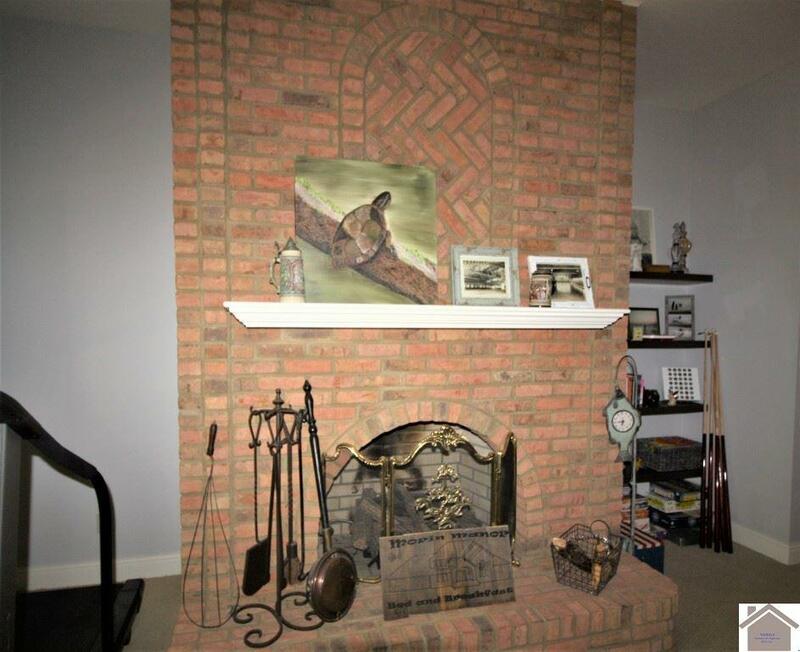 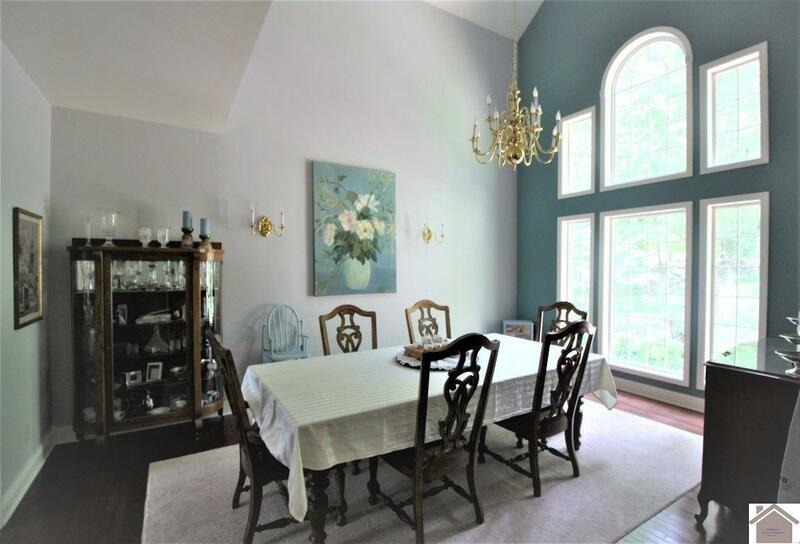 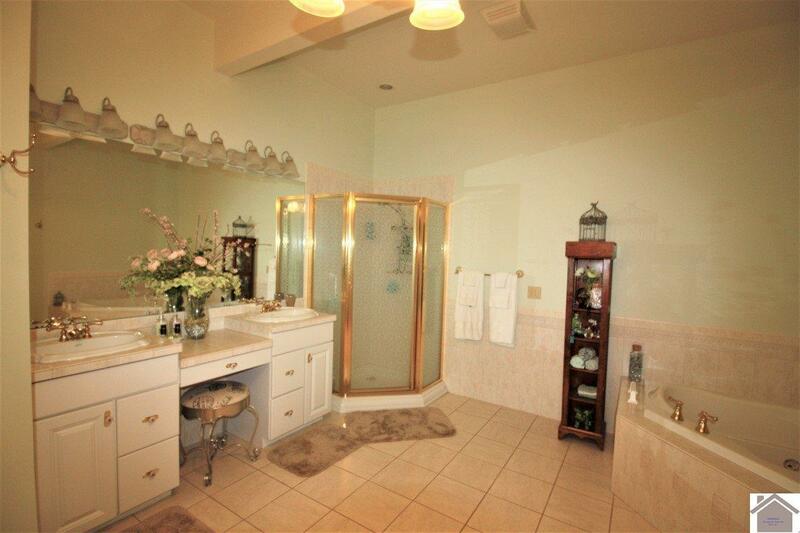 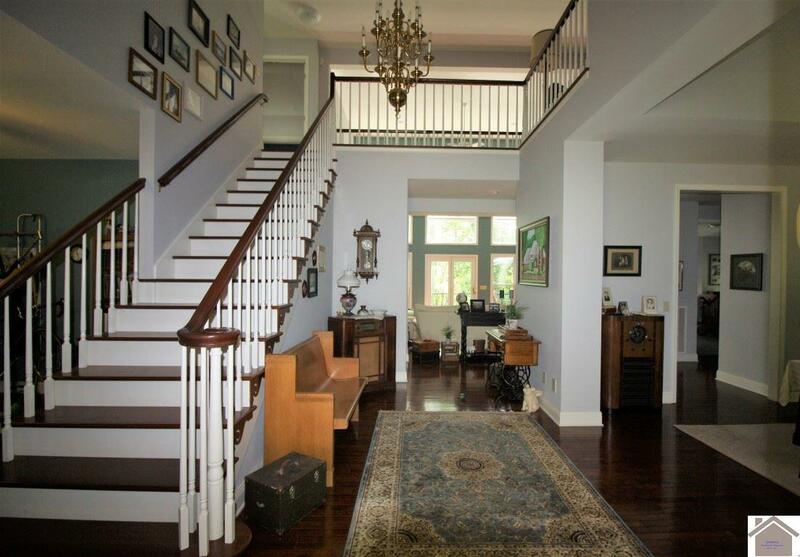 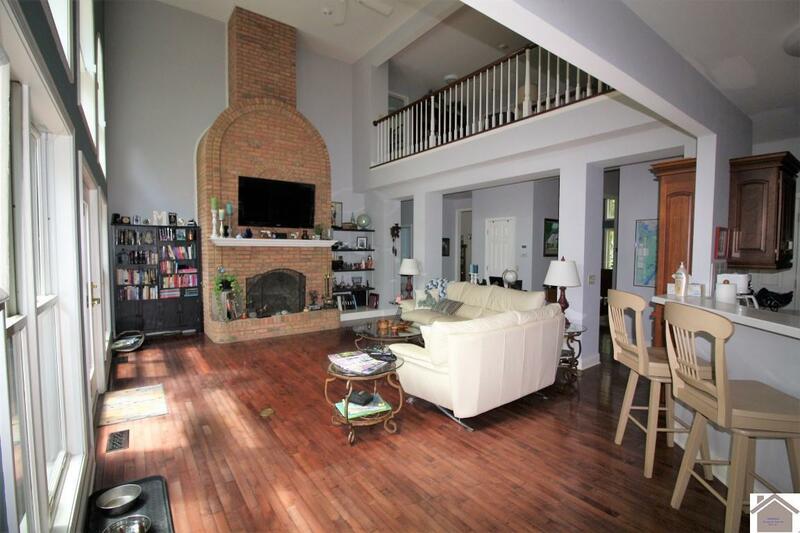 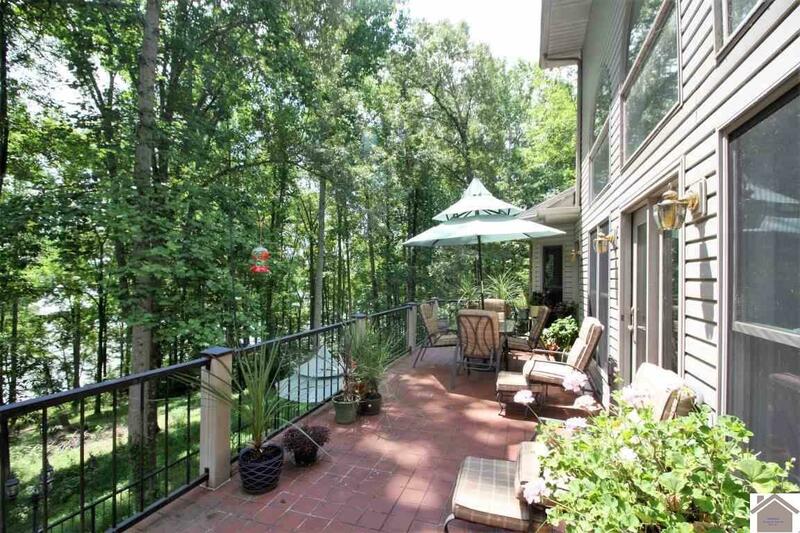 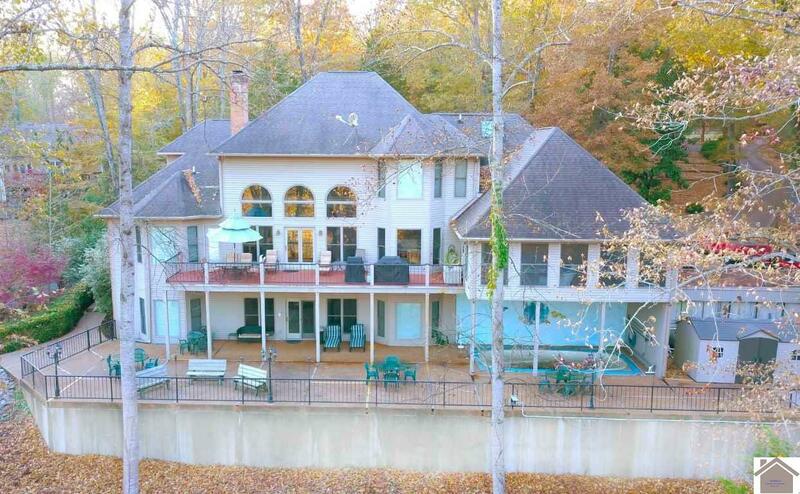 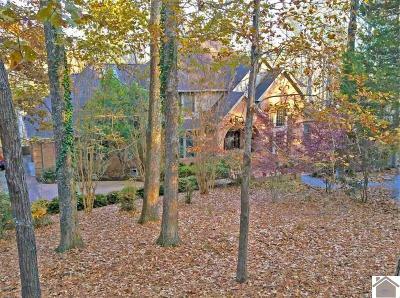 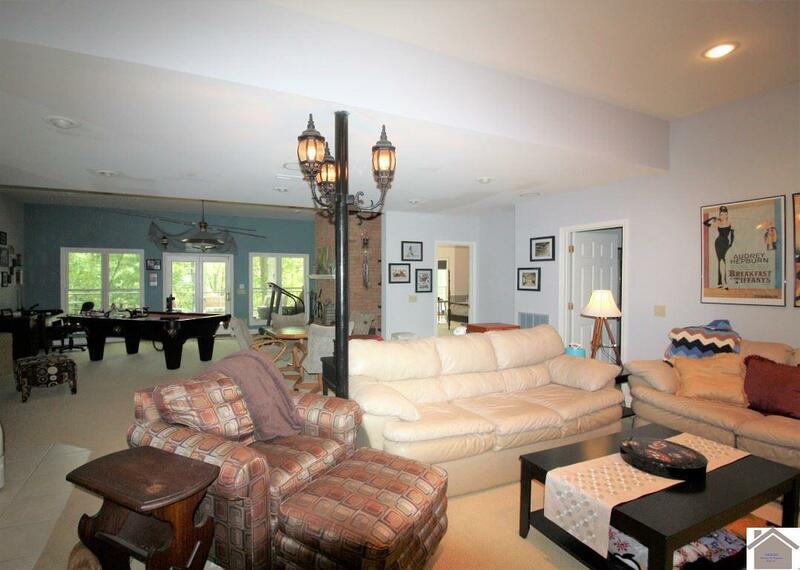 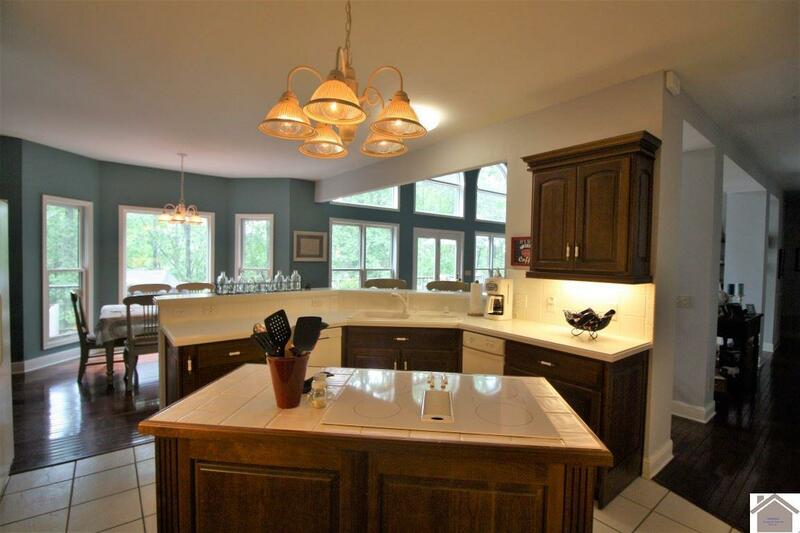 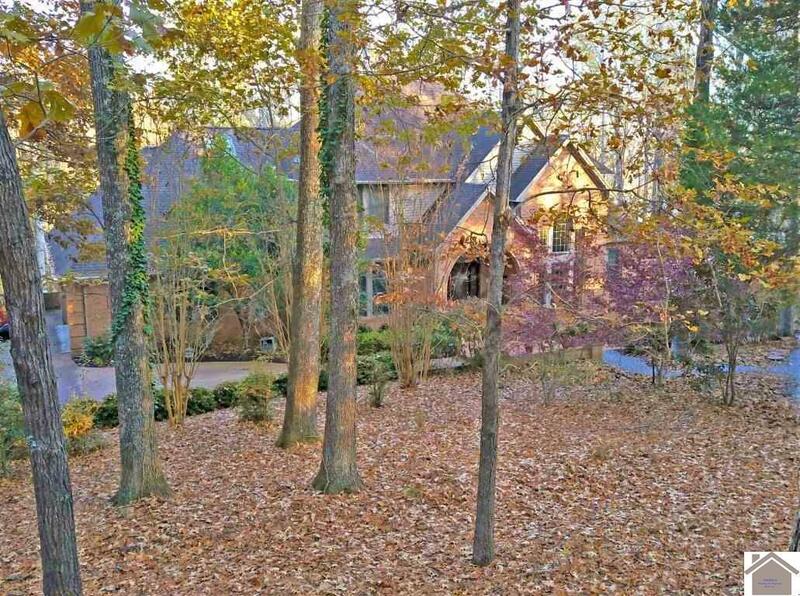 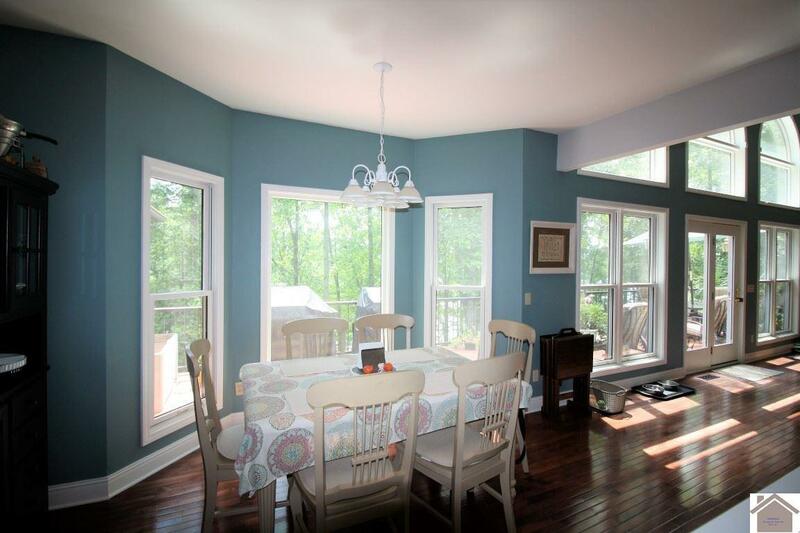 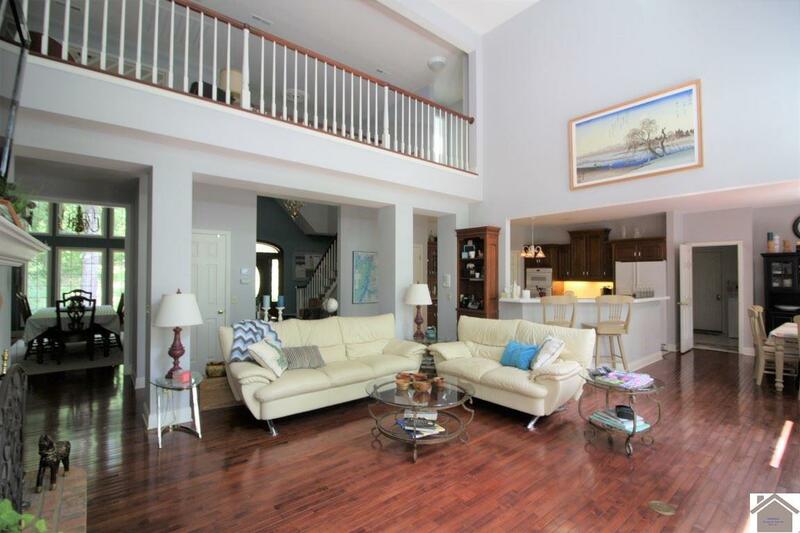 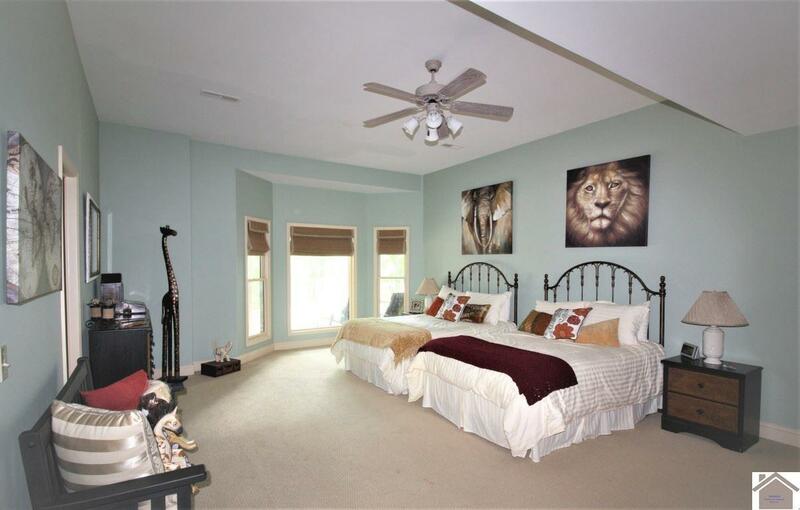 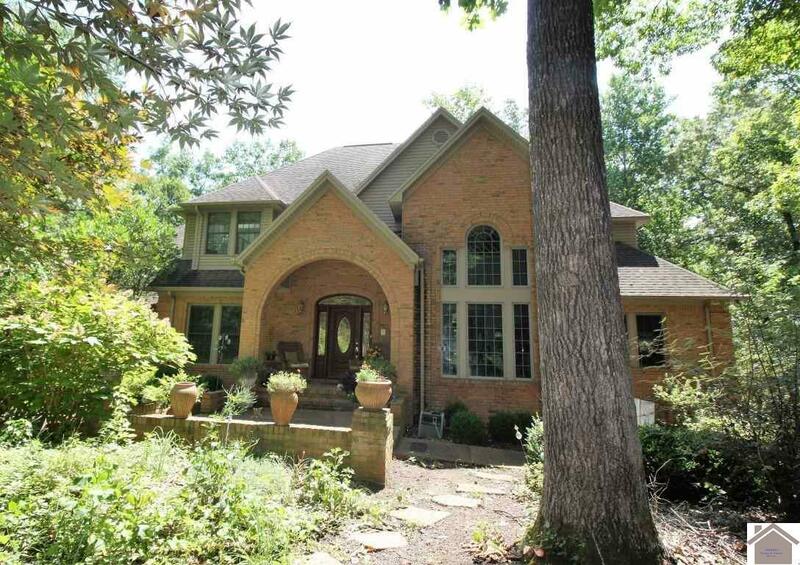 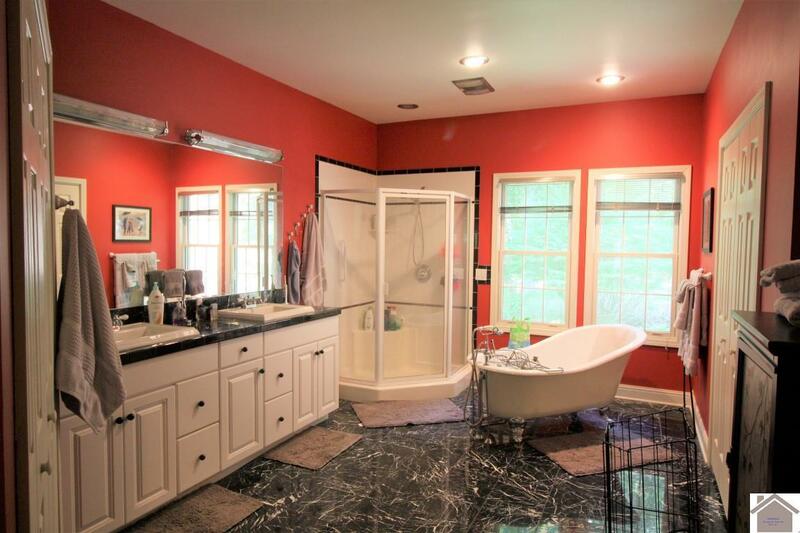 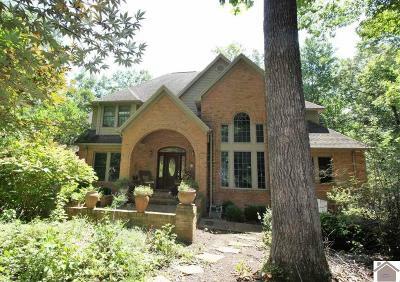 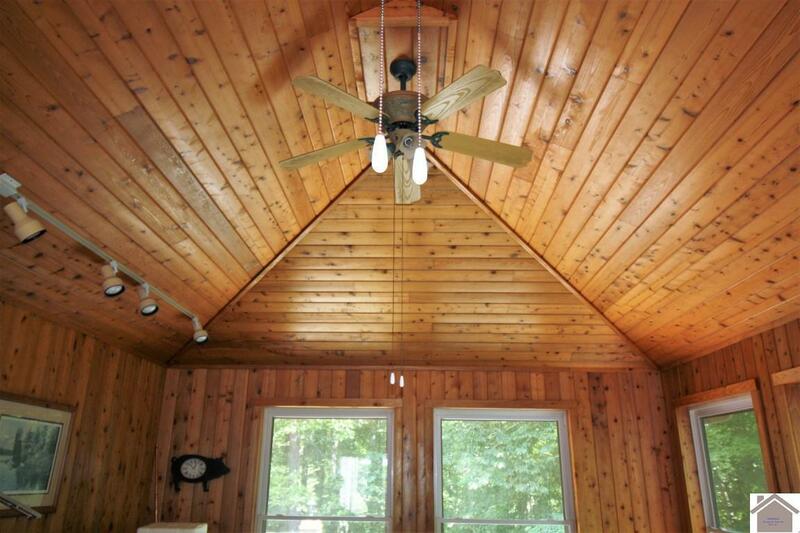 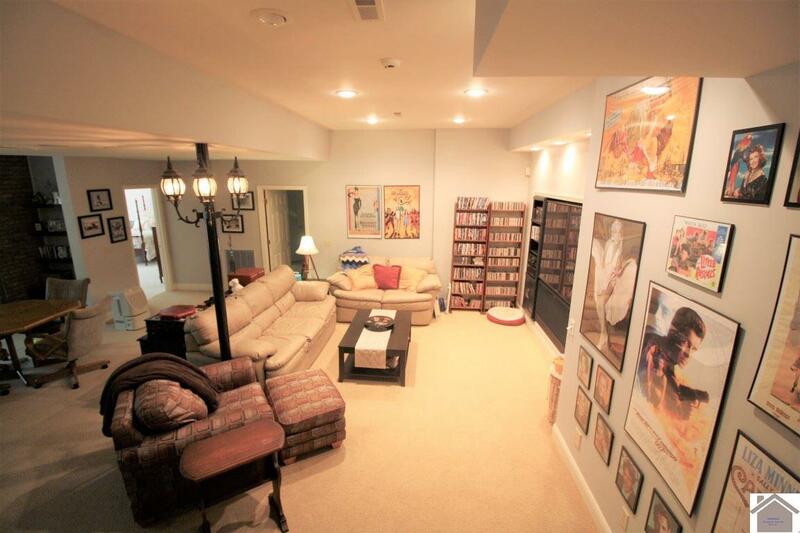 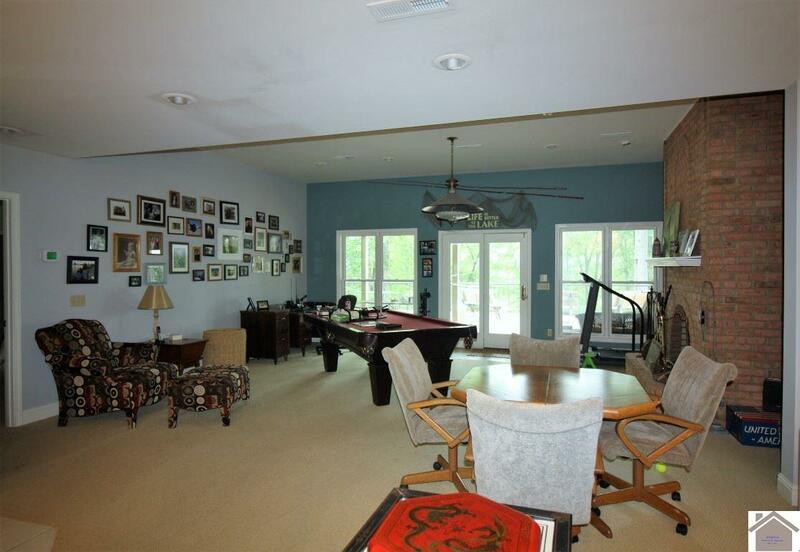 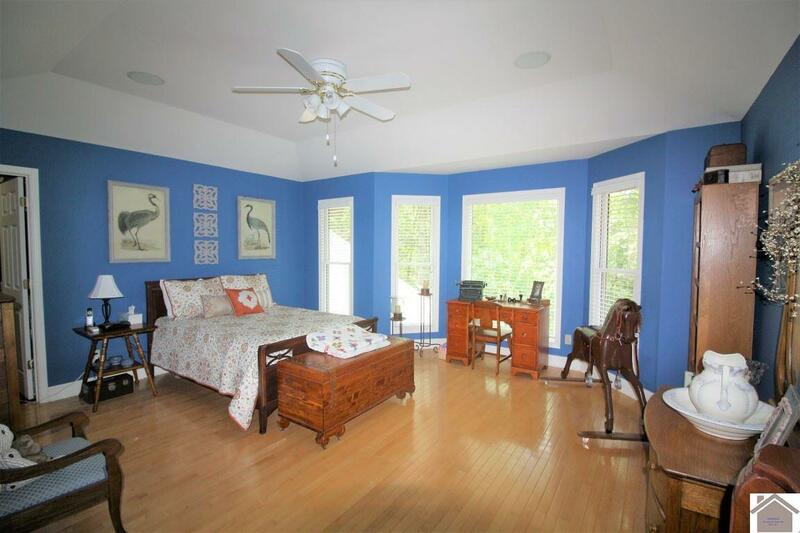 This lovely 5 bed/4 1/2 bath, waterfront home is located on 2.8 wooded acres. 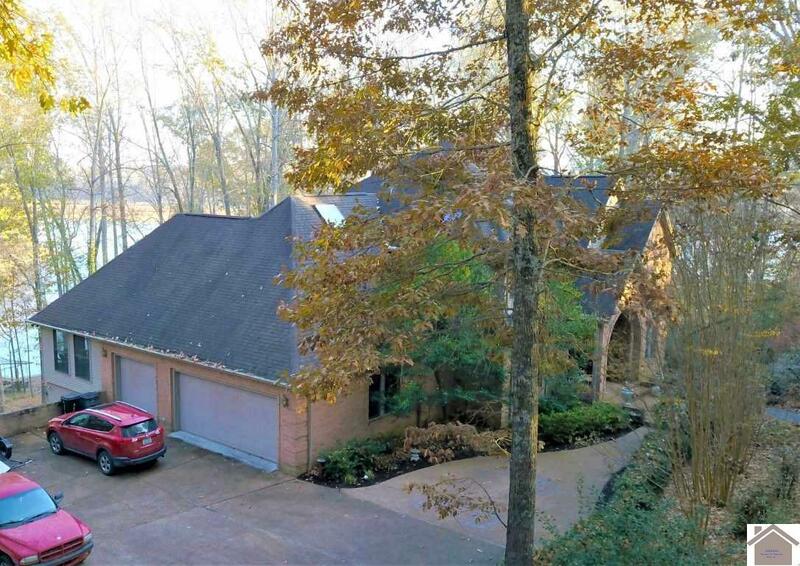 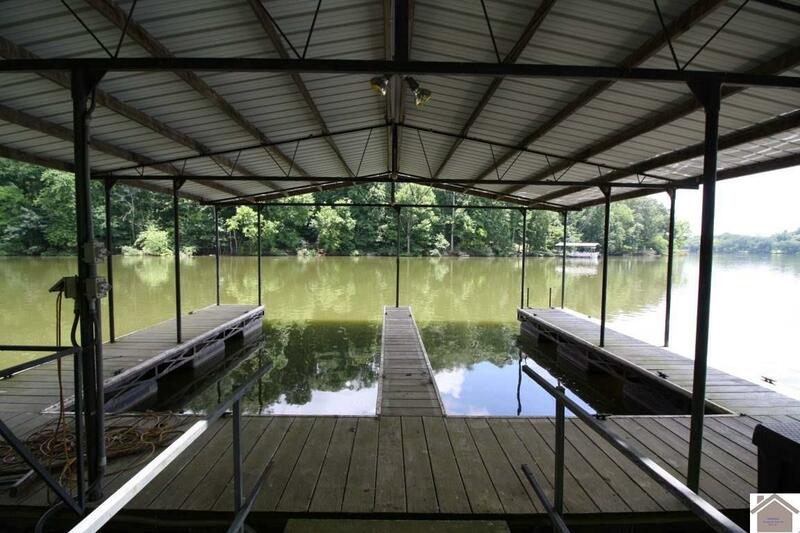 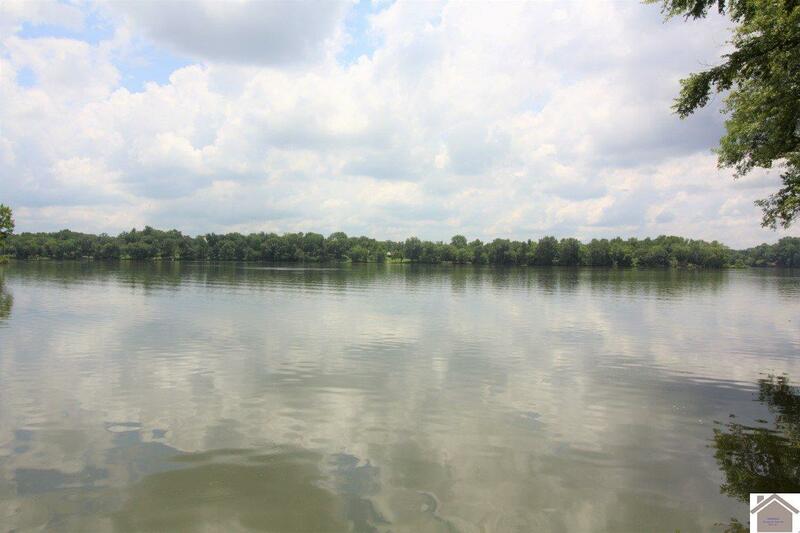 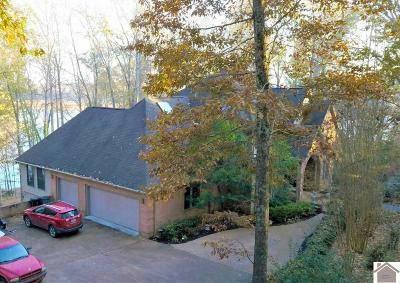 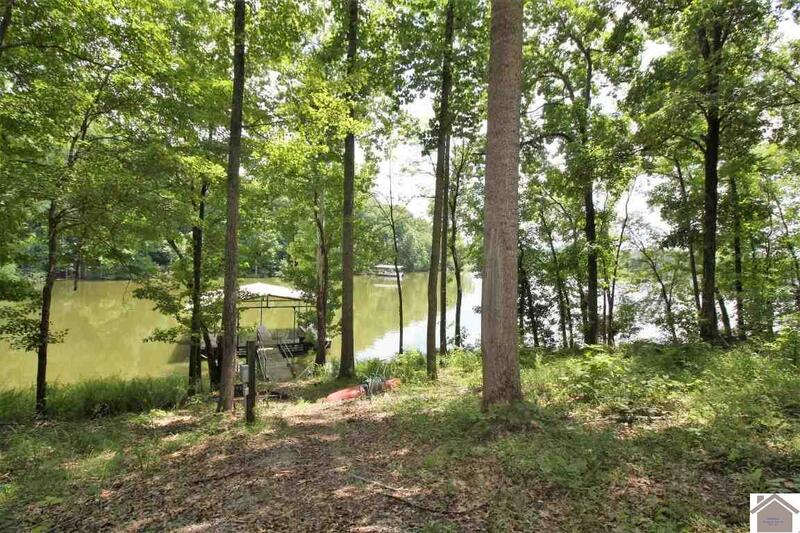 It has over 200 feet of frontage on Lake Barkley where you will find a private, covered 2 slip dock. 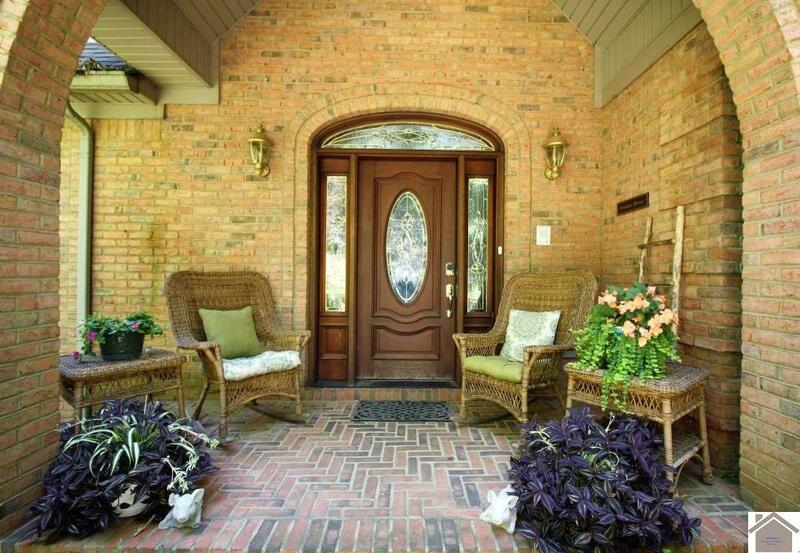 The front porch welcomes you into this elegant, yet comfortable home. 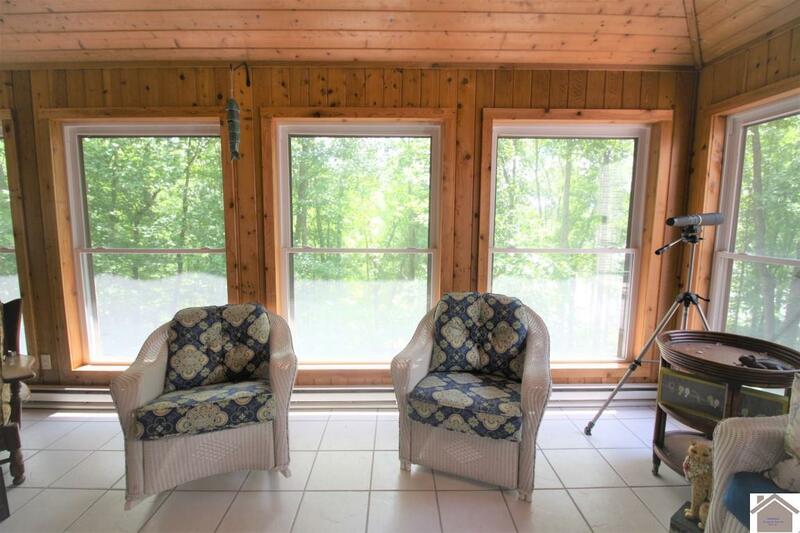 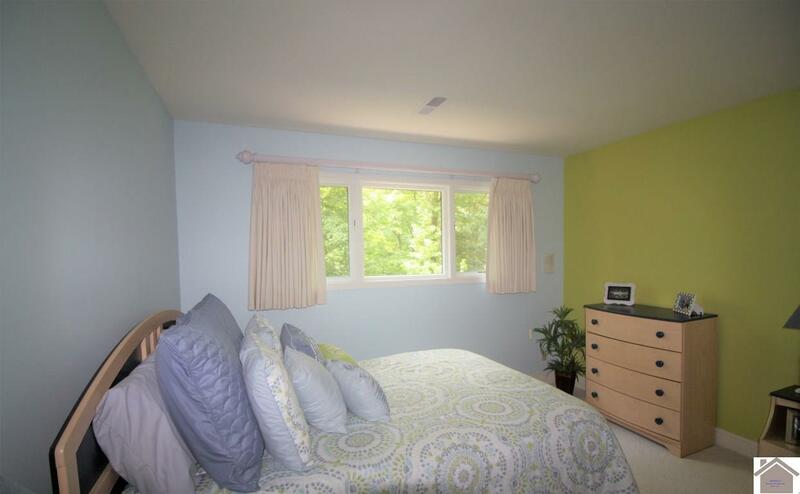 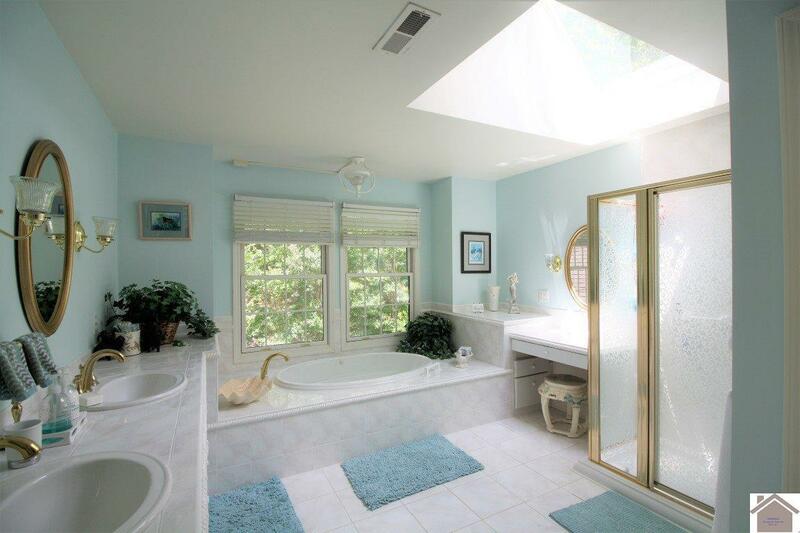 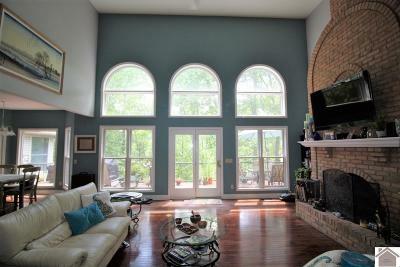 Large windows frame the view of trees and the lake from almost every room. 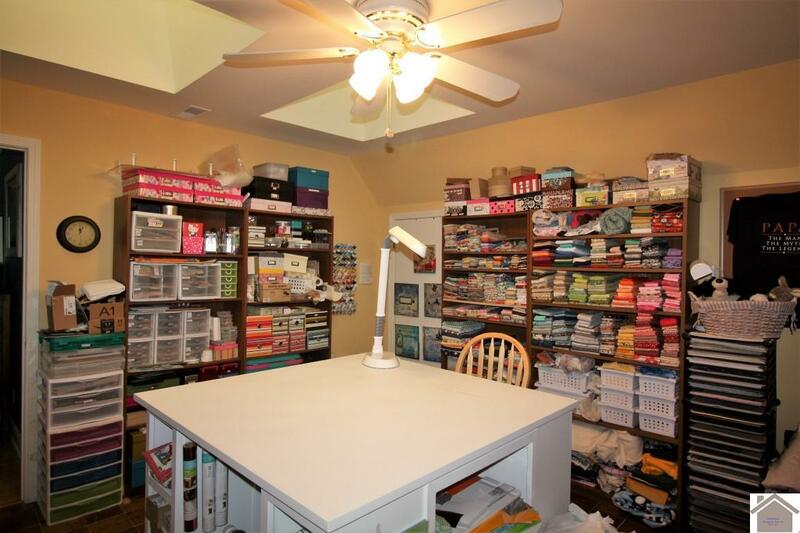 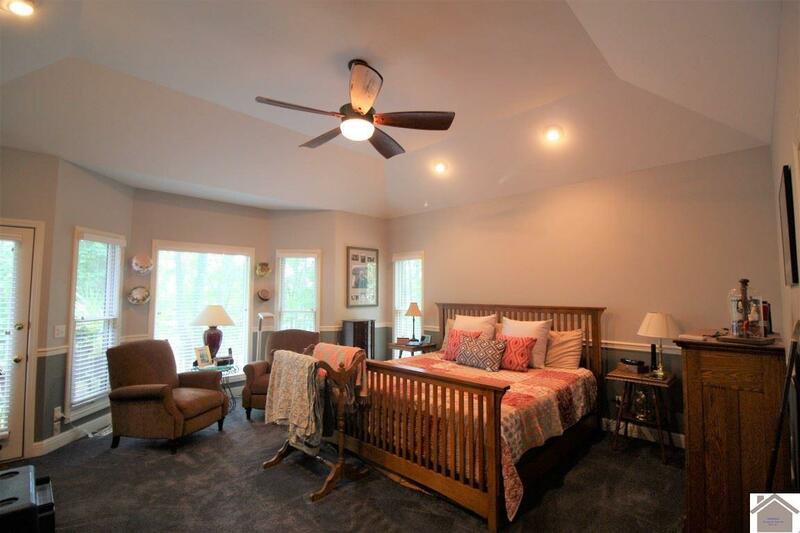 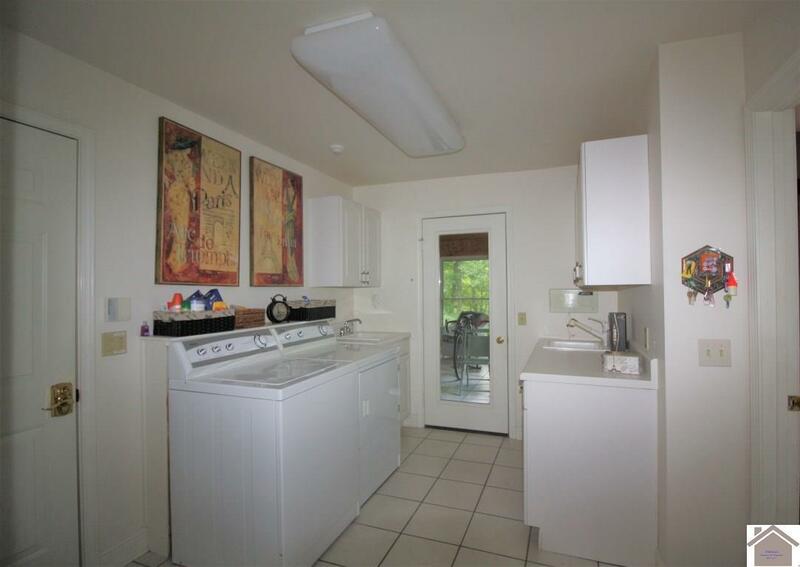 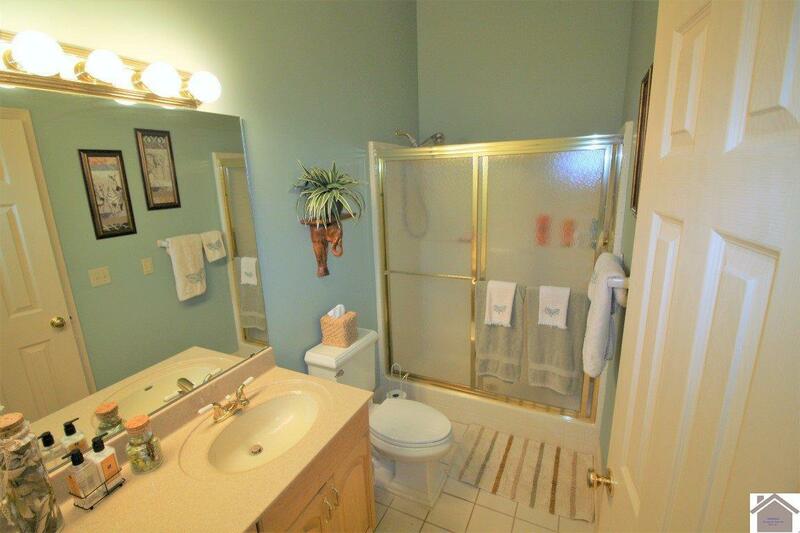 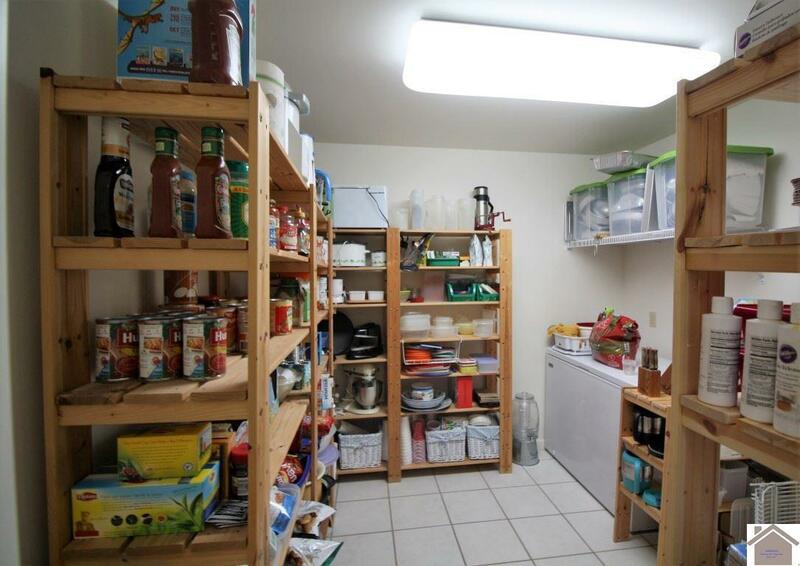 You will find spacious rooms with many unique features- kitchen with walk in pantry, sunroom with vaulted wood ceiling, craft room with sun lights, intercom, & a heated, covered pool!